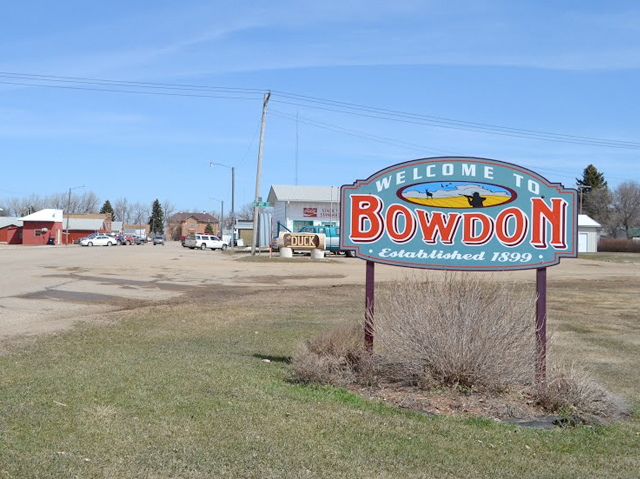 Established in 1899, Bowdon is located in the heart of Central North Dakota's farming and ranching country. We have a natural abundance of game and wildlife, and we support conservation. The city is 175 miles from Fargo, 95 miles from Bismarck, which is the state capital, 165 miles from Grand Forks, 107 miles from Minot, 83 miles from Devils Lake, and 70 miles from Jamestown.